After nine years of nearly uninterrupted growth in the stock markets, things are suddenly much more interesting. That’s right: Stock markets can, in fact, go down. And with a market correction proving that the bull market can’t last forever, the potential for sustained losses in the future suddenly seems very real. There’s no way to know for sure what the stock market will do, and it’s easy to let market volatility quickly turn into volatility in your thinking. Should you sell? Pull out your money and wait until things calm down? Click through to see 20 things you should do in a falling stock market. Learn how to get over your fear of investing. Relaxing also allows you to make rational decisions that are not based on fear. When you make investment decisions based on fear, it usually ends badly. Turn off the TV and ignore the media hype, said CFP Katie Brewer, who created the financial services site Your Richest Life. Instead of selling stocks and coming up with a new investment strategy, stick to the one you have. Has your portfolio weathered this recent storm? If so, your asset allocation is likely appropriate. If not, then perhaps it’s time to review your asset allocation and make some adjustments. Proper diversification is a great way to reduce investment risk. Assuming that you have a financial plan and an asset allocation strategy in place, a stock market downturn is a great time to review your allocation as well as rebalance if needed. You can certainly buy and sell holdings to get things back in balance. Other methods might include adjusting ongoing contributions to your 401k and committing new cash to the underweight areas of your portfolio. And don’t forget to review your entire portfolio as a whole — this includes taxable accounts, IRAs and your 401k. Even experienced investors can forget to rebalance their portfolios. 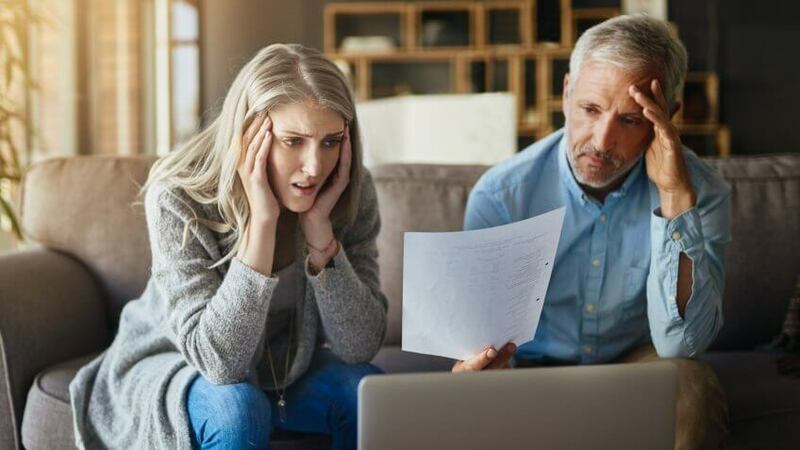 If you tend to panic during periods of market uncertainty, a professional financial advisor or planner could help calm you down and also help you rebalance or reallocate your portfolio, if necessary. “If you find yourself wanting to adjust your allocation only due to current market conditions, you may find value in working with a financial planner to align your goals and investment strategy,” said financial advisor Gregory Curry of Pillar Financial Advisors. “You should always have a cash position in your portfolio,” said wealth manager Kirk Chisholm of Innovative Advisory Group. Cash doesn’t necessarily pay well, but it does lower your risk and allows you to invest when the stock market dips. She recommended two of her favorite investment books for panicky investors: “The Elements of Investing” by Burton G. Malkiel and Charles D. Ellis, and “A Random Walk Down Wall Street,” also by Malkiel. “The more educated you are, the less you’re likely to panic when markets tank,” said Friedberg. Here’s one way you can take advantage of a stock market downturn: Buy your favorite stocks at cheaper prices. Note, however, that while a cheap stock with solid fundamentals is a bargain, a stock that is cheap because its business model has deteriorated is not. You should always conduct a strong analysis of any stock you are considering buying. Raskie also agrees that you should be an opportunist when the stock market starts to dip. In addition to buying discounted stocks, you might as well put more money into your savings and retirement accounts. “These buying opportunities can enhance future wealth greatly,” he said. “Some ways to do this are increasing 401k contributions, IRA contributions or putting more into your child’s 529 savings plan.” Follow these smart strategies for maximizing your 401k contributions. Options are great risk-management tools. The key, however, is to ensure that they are used correctly. Changes in market sentiment can cause a stock to drop, but that doesn’t mean the underlying business model or fundamentals of that company has changed at all. If the things that made you buy the stock in the first place are all still true, don’t let market volatility cloud your view of what makes the company successful and will probably continue to do so in the future. If you’re a retiree, you should revisit and — if needed — revise your annual withdrawal rate from your retirement nest egg. Over the past eight-plus years, the stock market has staged a nice rally, and many retirees have likely allowed their spending to creep up. The stock market decline to start 2018 doesn’t necessarily mean you should drastically alter your lifestyle, however. But, this is a good time to revisit your spending and adjust withdrawals if needed. And lastly, review all of your investment accounts and see the extent of the damage that has actually been done. Investors who are well-diversified have probably been hurt but not to the extent of those with a heavy allocation to equities and other areas that have been hit. Investing in these struggling stocks might be a waste of money. Employee stock options can benefit a company and its employees.